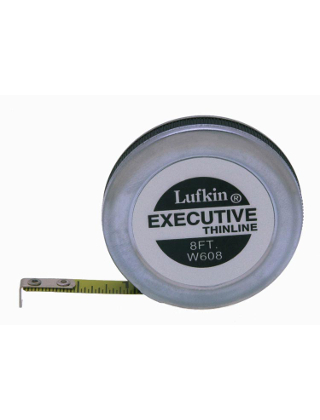 Yellow measuring tape in compact polished chrome case with spring-action blade return. Graduations in consecutive inches to 1/16", first 12" to 1/32". Markings are jet black on yellow ¼" wide blades.